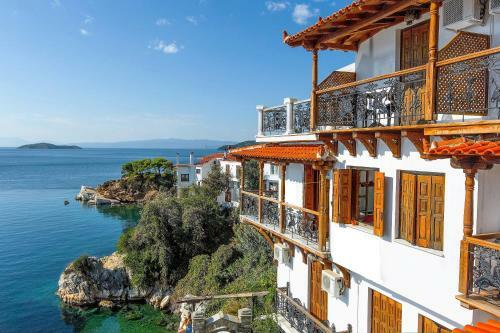 Skiathos. 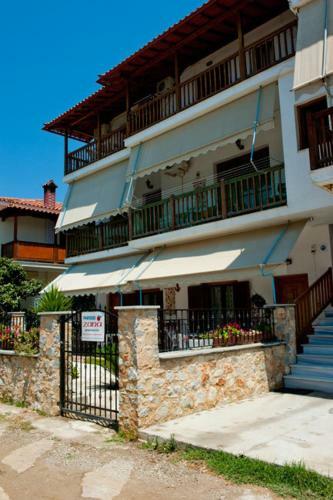 Skiathos is for many people one of the most popular Greek islands in the Aegean Sea. 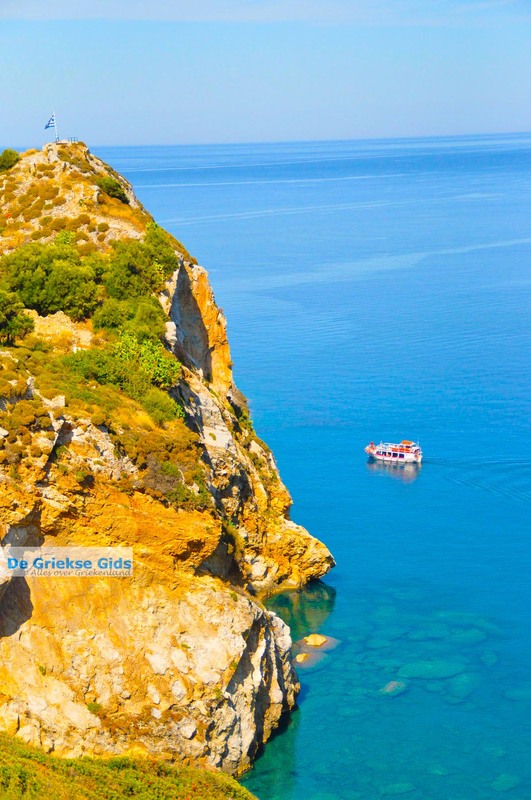 It belongs to the Sporades island group, it lies to the east of Pelion (Thessaly) and north of Evia. 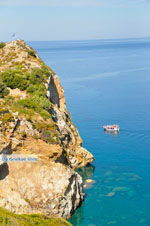 Skiathos had great publicity a few years ago because of the movie "Mamma Mia" that was partly filmed here. 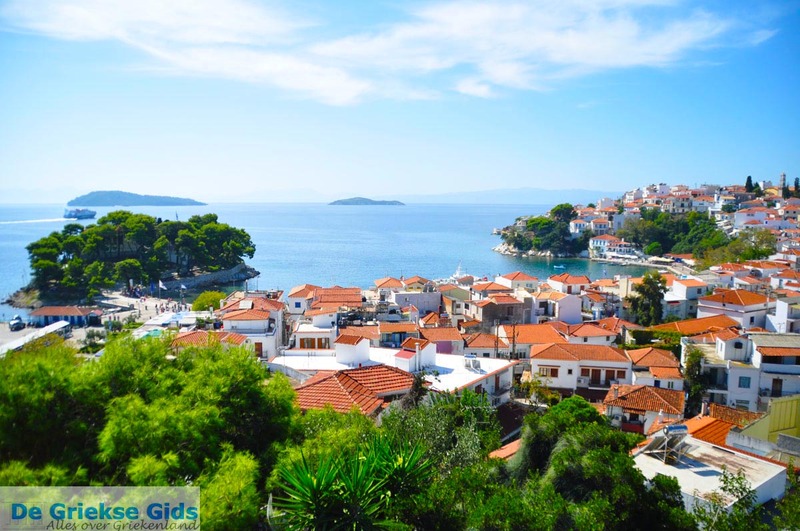 We visited Skiathos a couple of times and were positively surprised. 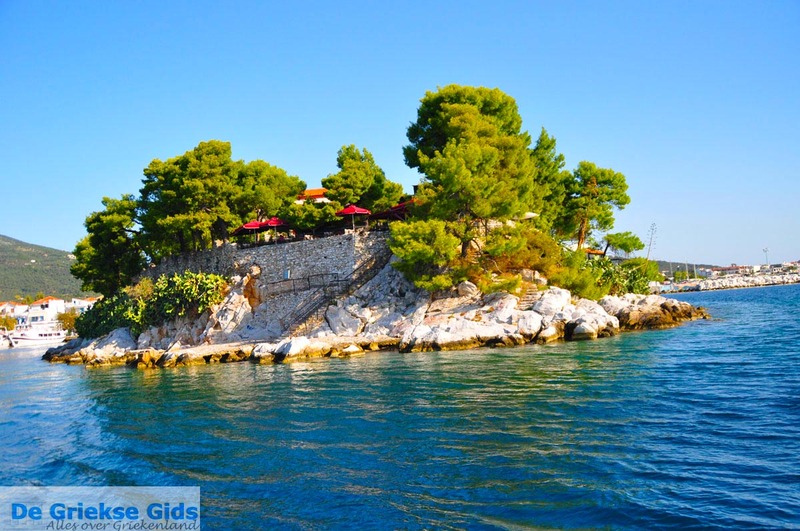 Skiathos is a very green island with beautiful sandy beaches and a picturesque capital (Skiathos town). 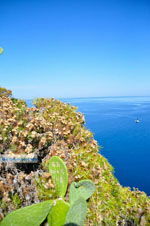 On the island are forests, castles, monasteries, many hiking trails and a lagoon. 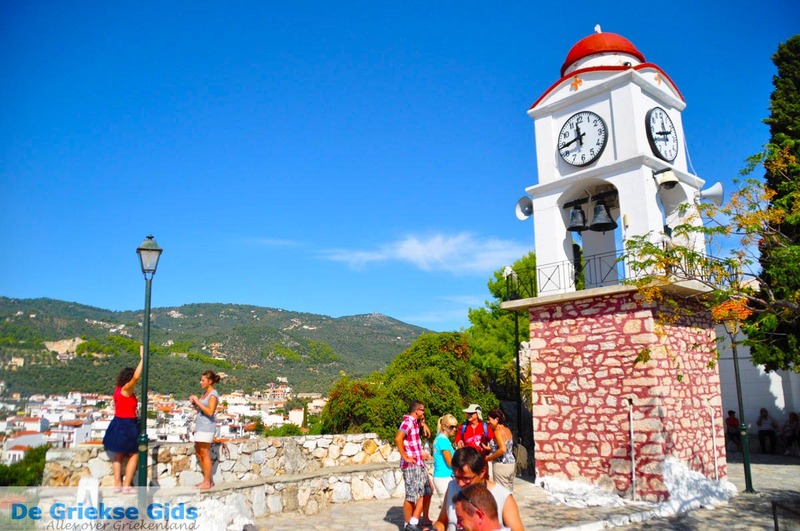 Skiathos town has two ports, a small harbour where the fishing boats and the small excursion boats moor and to the north of it, the larger port where the big ferries dock. 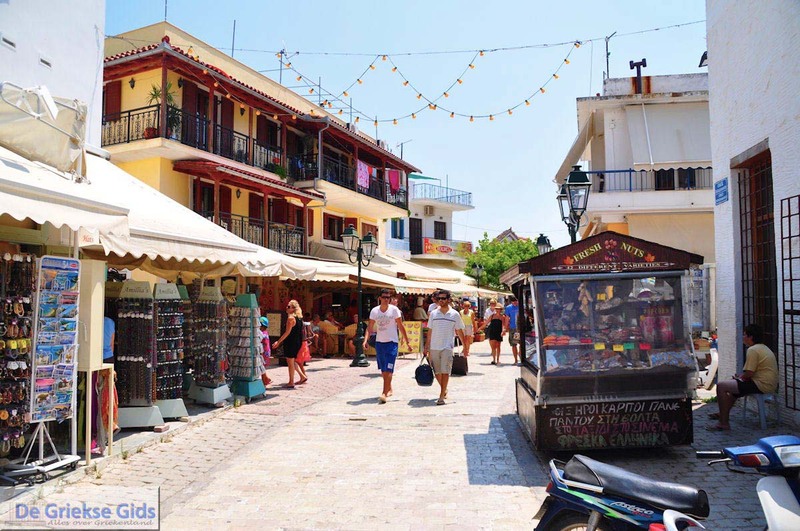 It is a very cosy town, you can enjoy the colourful terraces at the harbour where many good bars and tavernas are. Just behind the ports is a long shopping street where all kinds of tourist shops, snackbars, bars, gold shops and boutiques are. Sometimes it is very busy here, especially when huge ferry boats arrive, though it remains a charming and pleasant town. 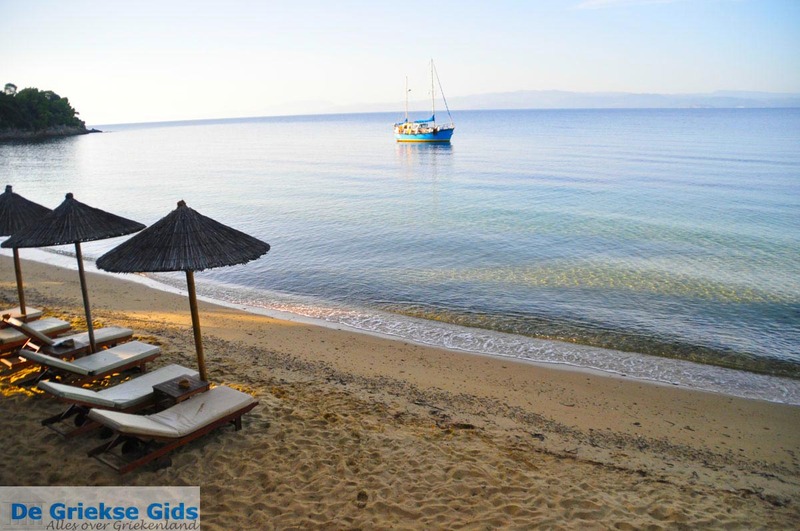 On Skiathos, especially on the south coast, there are many beautiful sandy beaches. These are almost all southwest of the city. The best known and most visited beach is Koukounaries (15 minutes by bus), which is also a protected area for birds. 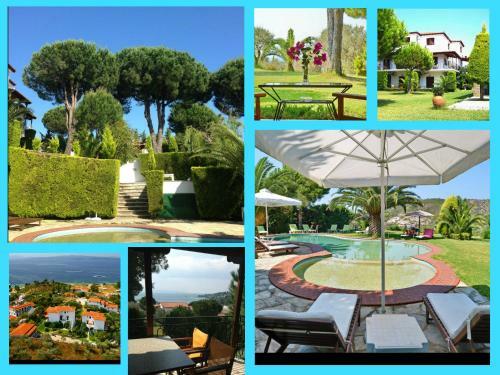 Koukounari means ‘stone pine’, at Koukounaries is a lagoon and a wooded peninsula with a stone pine forest. On the sandy beach there are all kinds of water sports and the water is very clean and clear. 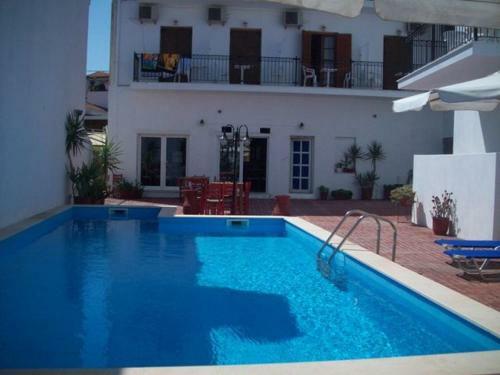 On Skiathos there are plenty of very good hotels but also cheaper rooms and apartments are available. 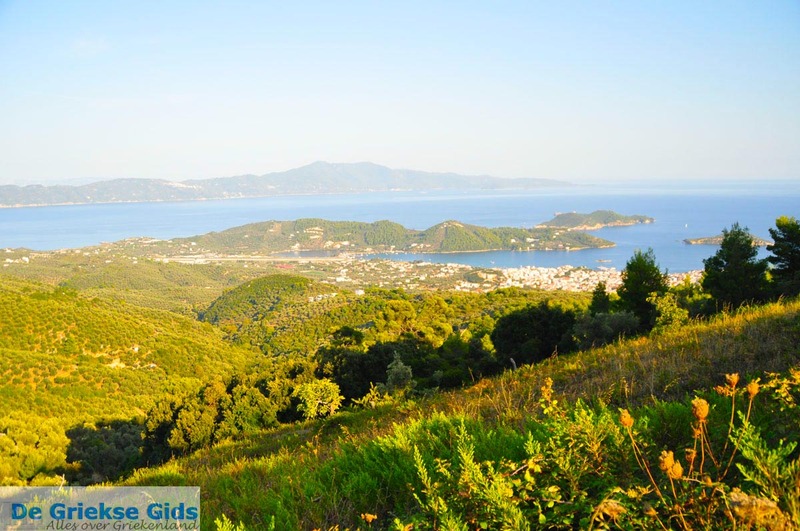 Click on the destinations on the map of Skiathos and discover the island. 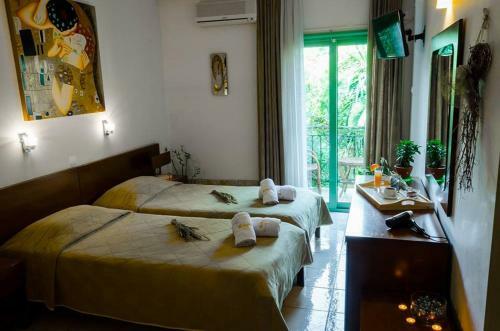 The home of the Greek writer Alexandros Papadiamantis which is now a museum. 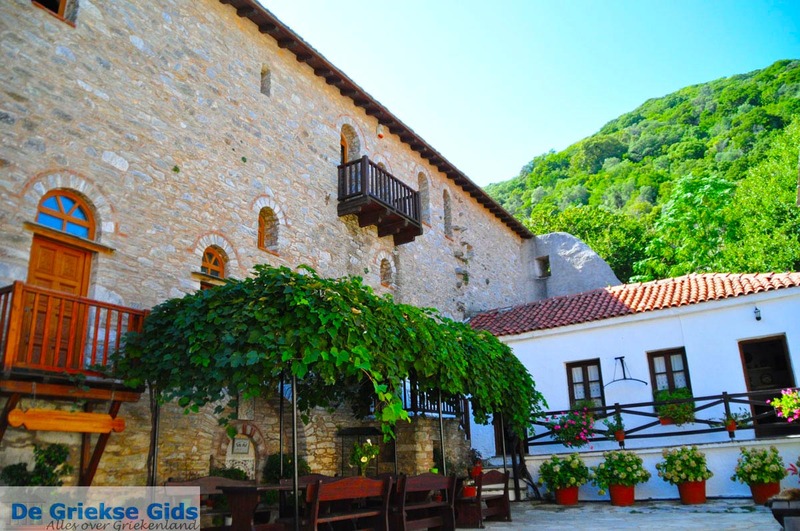 The ancient monasteries and churches like that of Agios Charalambos and Moni Evangelistria. Moni Evangelistria to the Greek insurgents have fled after the revolution of 1821. 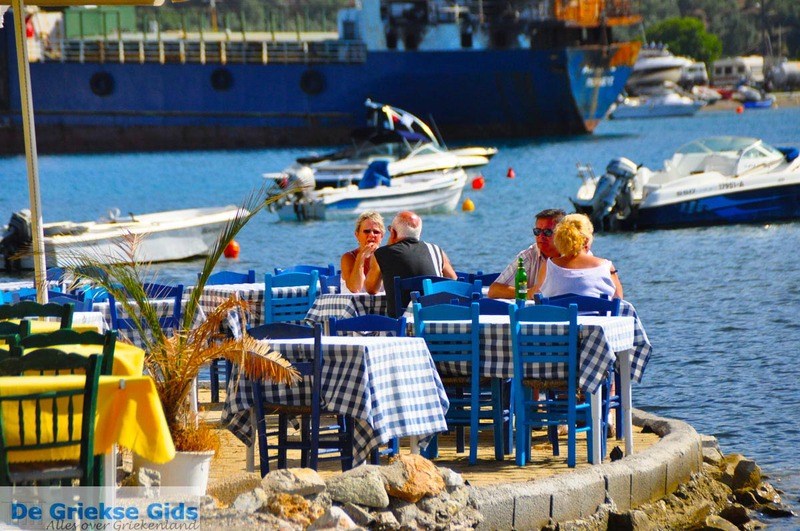 The old port with its tavernas and cafes. 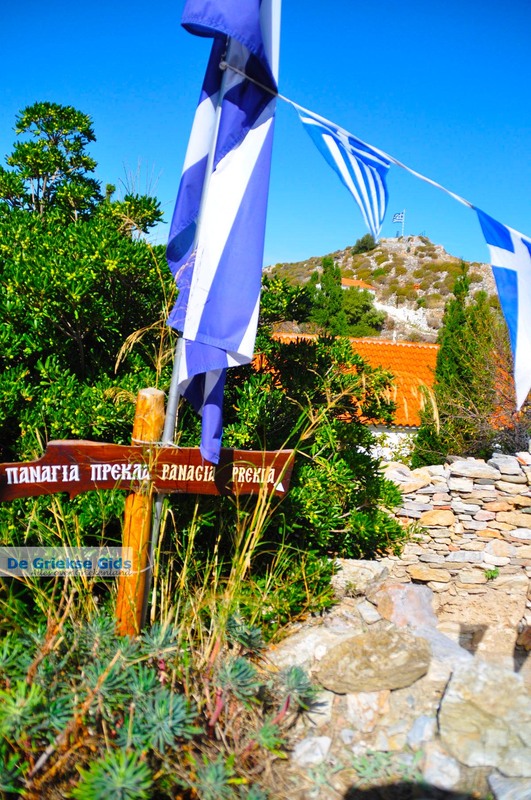 The castle (Kastro) where, during the 16th century, the inhabitants of Skiathosmoved to escape from the Barbarians. Here you will find churches where Christians hid. 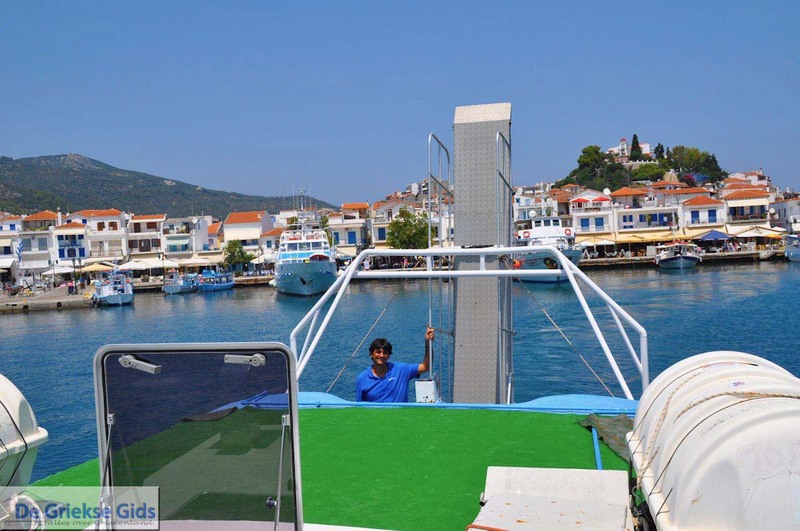 How to get on Skiathos? 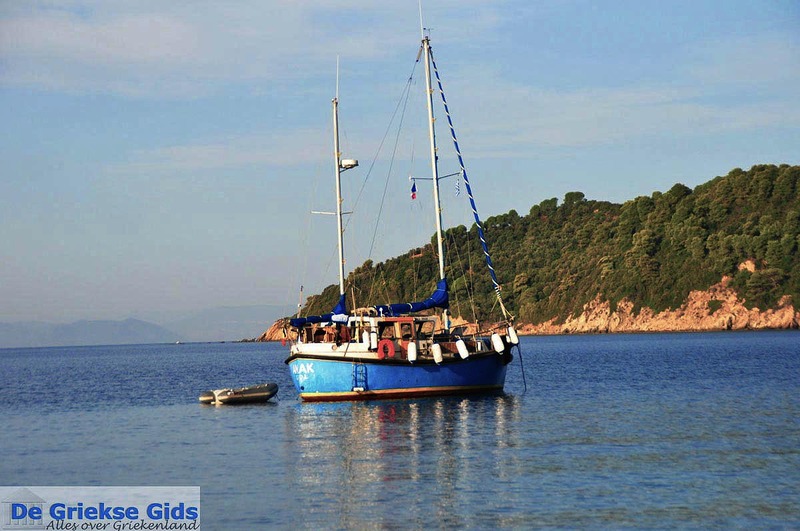 You can come to Skiathos either by airplane or by boat. 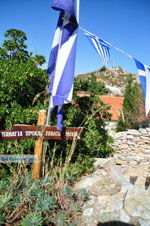 The international airport of Skiathos is at the edge of Skiathos town. 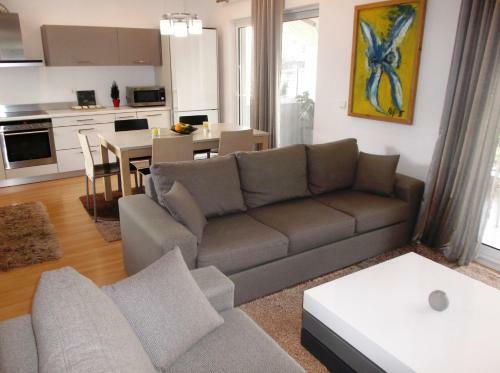 Another airport mainly used, is the airport of Volos (Thessaly). 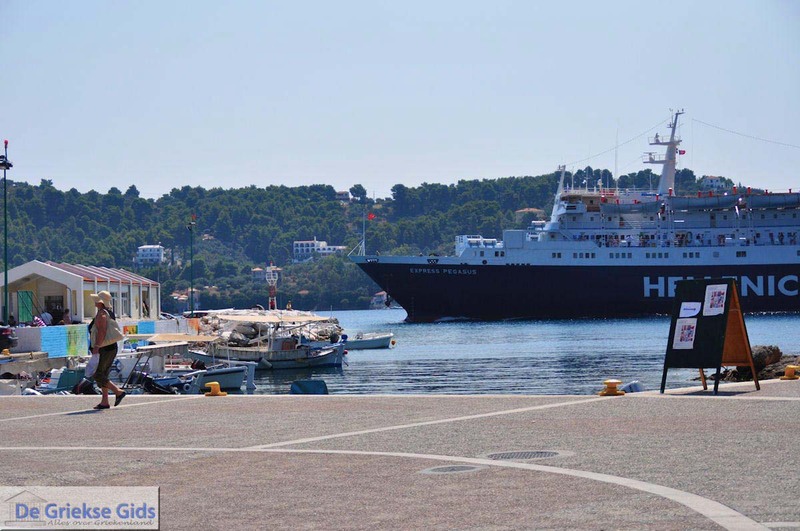 It takes about one hour by ferry, to travel fom Volos to Skiathos. 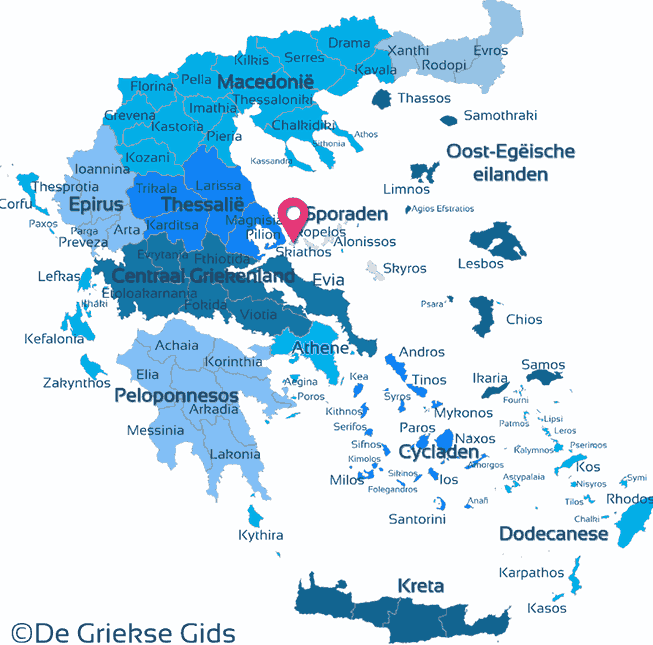 Skiathos is directly connected to the Greek mainland (including Piraeus, Volos, Thessaloniki) by boat but also to other Greek islands like the Cyclades and the other Sporades (Skopelos, Alonissos and Skyros). 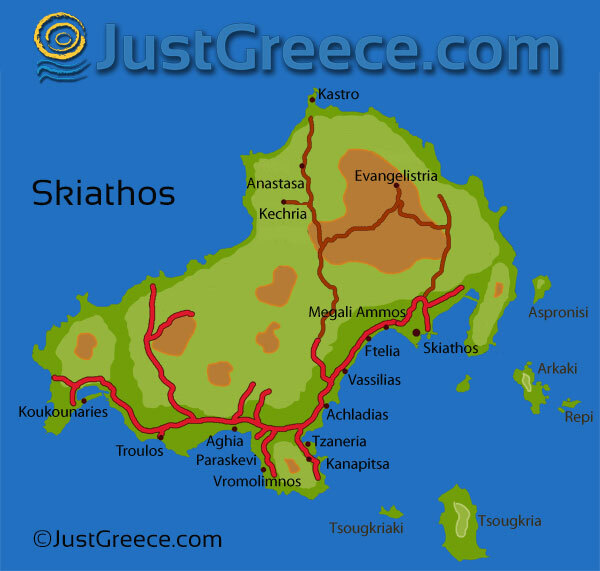 Skiathos: Where on the map is Skiathos located?